The old school had large square rooms with high ceilings. In the corridors outside the room was a row of hooks where children hung their outer clothing before entering the classroom. The drinking fountains were also in the corridors. Huge windows were the only source of light and on cloudy days it was difficult working on the dim light. The floors were wood without covering, and the desks and chairs were screwed into the floors in straight rows. The students sat facing the teacher whose desk was at the front of the room. Classes were not of the same size because all children within walking distance attended the school. Some walked well over a mile. Teachers could often have classes of up to fifty pupils. In 1925 Miss Charlotte Leighton had 62 pupils in her eighth grade class. The preceding year Miss Bernice Frye’s first grade had 57. 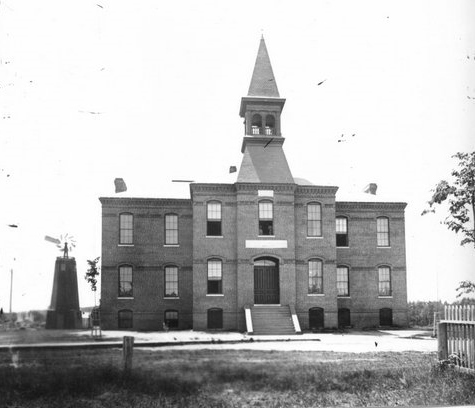 Electric lights were installed in Allen school in 1922. This included a single light over each teacher’s desk and lights in the basement and corridors. In 1930 the entire building was wired for lights. The belfry was removed from the building in 1933. Classes opened at 8:45 AM with the teacher taking attendance. Every day the teacher led the class with the Lord’s Prayer and a salute to the flag. (From 1925 to 1959 the flag had 48 stars.) Then she usually read a short story or a chapter of a story to the class. There was a piano in every room and the teacher led the pupils in song. There was a twenty minute recess mid- morning. At 11:45 the school closed for lunch. Afternoon classes began at 1:45PM. There was no lunchroom or gym in the building. Children all went home for lunch unless they had special permission to stay in the building. The boys and girls who were allowed to stay spent the time in separate rooms with the janitor in charge. In bad weather the pupils were sometimes excused from the afternoon session. Every child between 6 and 16 was required to attend school unless excused for ill health. 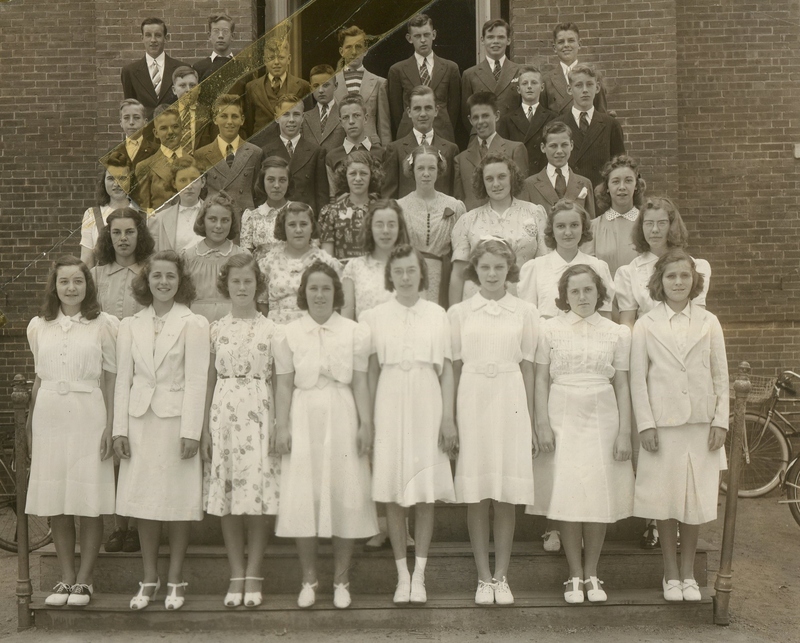 Until 1939 students went eight years to elementary school. There was a graduation ceremony at each school in June of each year with graduates receiving diplomas. When the new Spaulding High School opened in September 1939 the seventh and eighth grades were moved to the high school. 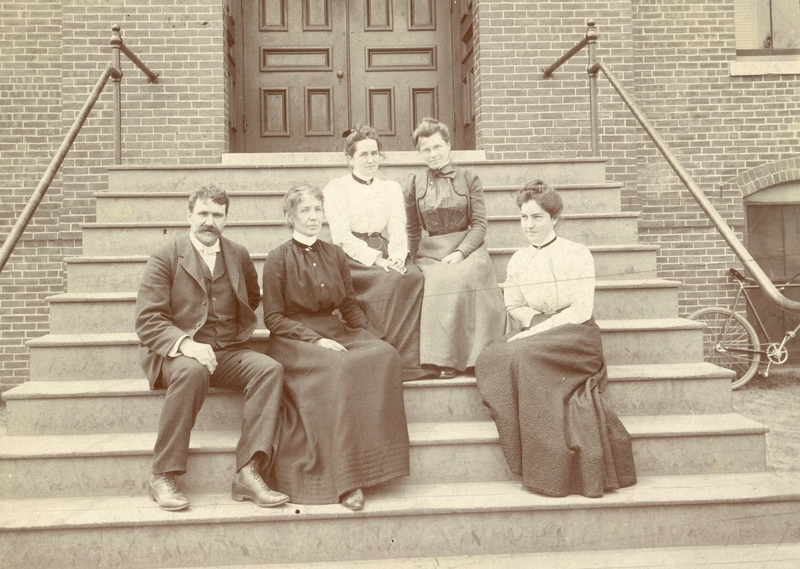 On the left is William Allen and his wife Anna, beloved teachers of the school. The school was named for him. The school that replaced the old school in the 1900’s still bears his name.